Australia’s largest city, Sydney attracts millions of tourists for its many stunning sightseeing opportunities. But after a tour of this sprawling city, most people begin to wonder what lies outside the metropolitan. Only a 90-minute drive away, the Blue Mountains from Sydney offer the perfect road trip that lets you discover another side of the city replete with natural beauty and thrilling adventures. You can hire a car rental in Sydney and pick it up from the Airport for a care-free and mesmerizing road trip into the deep valleys, sandstone cliffs and dense eucalypt forests of the blue mountains. The Blue Mountains are densely covered by oil bearing Eucalyptus trees. The fine droplets of this oil create rays of blue light when combined with dust particles and water vapour, and thus the region is named “Blue Mountains”. You can enter the Blue Mountains from Sydney with Glenbrook as the first top which is a 50 minutes drive. You can hire an Avis self-drive car and pick it up at the Sydney airport in Australia to begin your breathtaking car journey. Follow the signs towards Parramatta. The M4 Motorway begins at Strathfield and goes towards Lapstone in the Blue Mountains. The M4 Motorway becomes the Great Western Hwy and begins to wind up the mountains towards Glenbrook. This route will continue towards Lithgow with amazing sites to look out for in between including Wentwaterfall, three sisters, Echo Point, a kitsch row of boutique stores and many more. 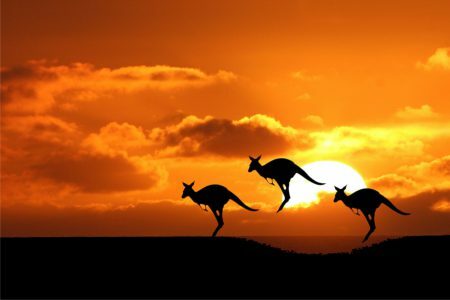 Book your car rental in Sydney here for an astounding journey through the Blue Mountains. The first stop of the road trip to the Blue Mountains from Sydney is Glenbrook. 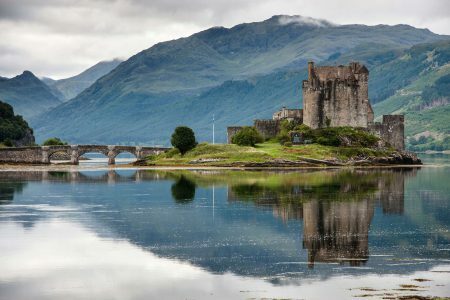 It is best known for the spectacular views, refreshing air and temperate climate lending it a very heavenly feel. This place retains historical buildings and homes most of which are occupied and not meant for public visit. It also offers recreational places with native flora and fauna. The Visitor Information Bay at Glenbrook highlights the Greater Blue Mountains Drive Map covering 1200km of major connecting roads along with 18 trails. These trails provide information about the diverse landscapes and experiences of South Wales and Blue Mountain National Park for extended tours. A local cinema popularly known as “The Little Cinema with a Big Smile” was rebuilt from a set-up cinema in the 1920’s to a regularly visited theatre in 1978. 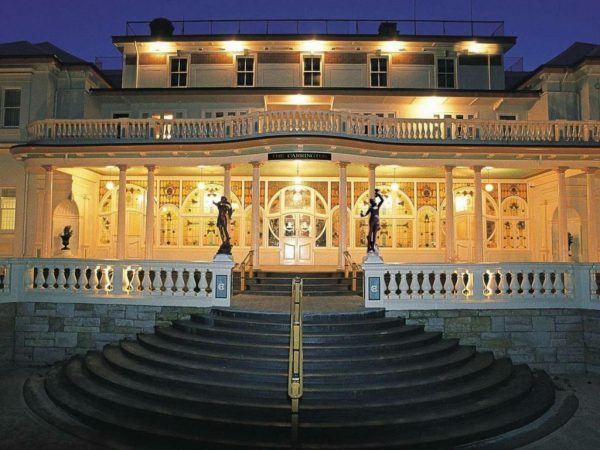 It has now become one of the most advanced cinema in New South Wales but with an old world charm. It was also the first cinema to offer online reservations. The Native Plant Reserve is situated opposite the information centre and forms an important community facility. The members of the community look after the native nursery without a profit motive and it is open to public only on weekends. Your drive to the Blue Mountains from Sydney in an Avis self-drive rental car shall ensure an ideal road trip that allows you to discover yourself. Next, you can Head to Wentworth Falls in your rental car from Avis. The National Pass forms a part of a network of walkable trails that cover Nature track, Wentworth Pass, Vera Falls Track, Kings Tableland and the famous Charles Darwin Walk. Another delightful venue in the road trip to Blue mountains from Sydney is Wentworth Falls Country Club that harbours modern house club, spectacularly green golf course and pleasing views from the outdoor deck. This extensive clubhouse is perfect for special functions, parties and even weddings. Eagle Rock Adventures close to Wentworth falls will make this road trip a riveting adventure that’s next level. 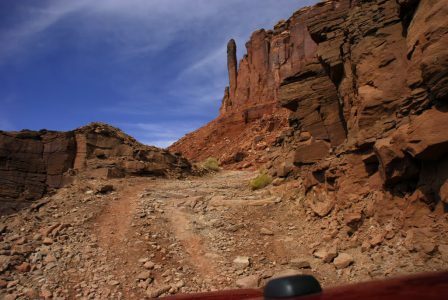 Some of the best water sports available at this location are canyoning, abseiling, kayaking, and other multi-day adventures leading into the wild side. Brace yourself for magical and adrenaline-filled activities here. Do have a look at the wonderfully constructed garden beside the Wentworth falls lake, a habitat to native fish species and waterbugs. The next destination you cover in your Blue Mountain Sydney tour is Leura- The prettiest town on this road trip. It’s fashioned around whirling streets with beautifully tended gardens and majestic Victorian verandahs. Lined with trees on the main road, this sparkling city accommodates stores and cafes welcoming tourists from all over the world. It’s a great idea to take a stroll through the Leura Mall and browse through the variety of unique and pretty retail outlets. Come and appreciate this quaint village’s hospitality. If you’ve brought your family along, then Leura Cascades is a peaceful setting for picnics and building better bonds with your loved ones. 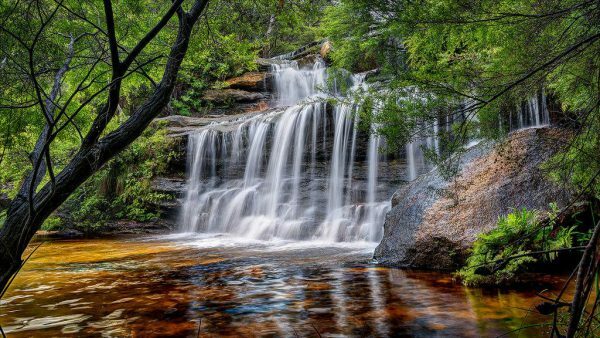 A leisurely walk from the Cascades will take you to Leura, Linda, Lila and Bridal Veil Falls. 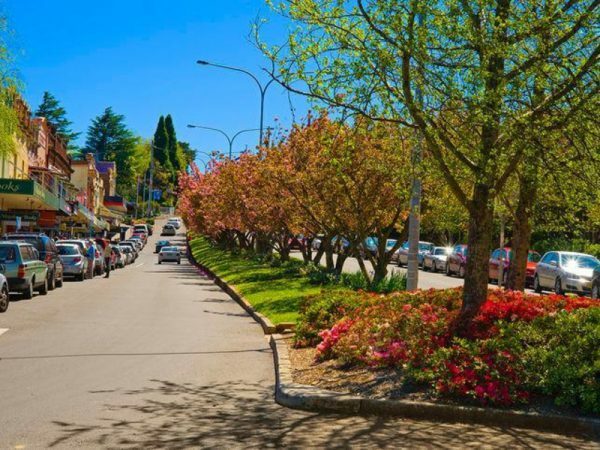 If you happen to visit Leura during the Spring season, You shall witness a bloom of gorgeously patterned and coloured flowers, especially during spring when the blue mountain weather is at its very best. The Sublime Point lookout offers a view that will make you feel as if you’re at the edge of the world. For an adventure junkie, this place lets you fulfil your desire for something thrilling – rock climbing. Others can enjoy picnicking and birdwatching. Your Avis rental car gives you absolute freedom to have a joyful time with your self-drive car ride. 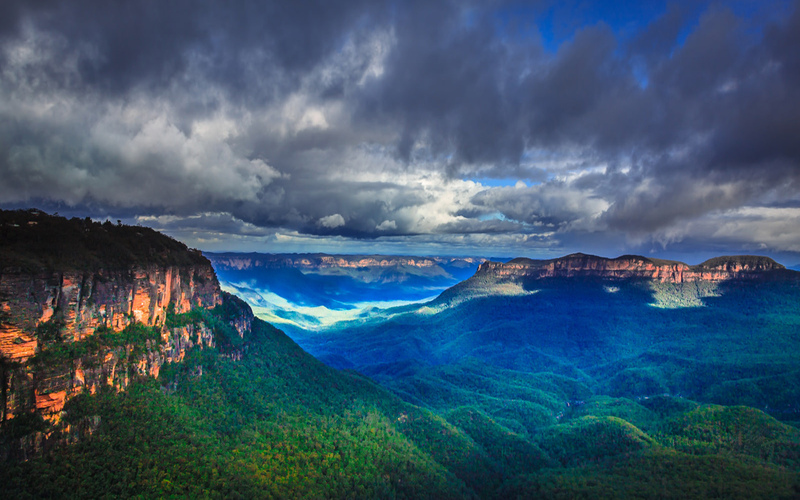 The best-known place on the Blue mountain tour from Sydney is Katoomba. You will find it landscaped with the rugged wilderness that presents spectacular views of the Blue Mountains National Park. Keeping sightseeing aside, Katoomba also has galleries, speciality shops, accommodations and restaurants selling finger licking treats. 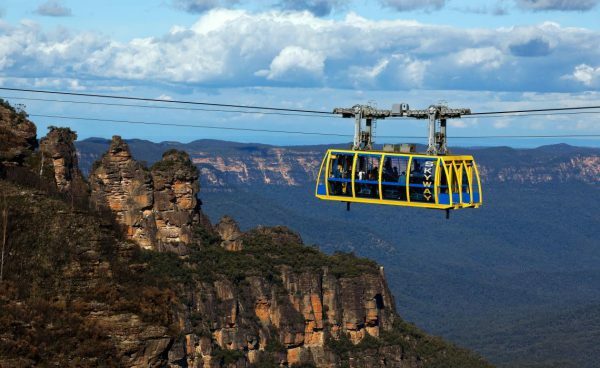 Scenic World in Katoomba provides the ultimate Blue Mountains adventure. You’ll be enthralled by the native birdlife, refreshing atmosphere and breathtaking views of the World Heritage-listed region like the Three Sisters, Katoomba Falls and Jamison Valley. Three Sisters in Australia are towering rock formations constantly changing with the sun’s movement. It casts glorious shadows and creates a spectacular colour palette throughout the day. The best views of the Three Sisters are from Echo Point Lookout. If you are a braveheart looking for some excitement, take a journey on the world’s steepest incline railway, suspended 270 meters in the air in Jamison valley. Waradah Aboriginal Centre, a shop and a gallery should not be missed as it displays excellent examples of aboriginal art. It also provides a good-humoured presentation of the indigenous culture. With a rental self-drive car from Avis passing the Blue Mountains from Sydney, there are no issues relating to insufficient time or tiredness. 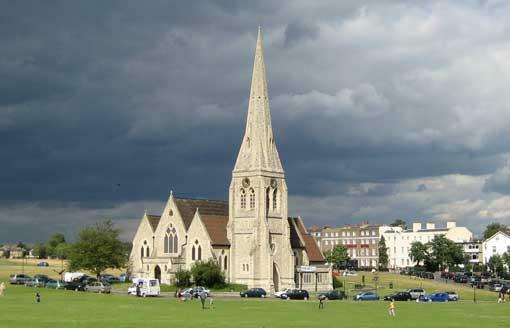 As you continue your self-drive with Avis traversing Blue mountains from Sydney, you will enter BlackHeath. Every November this town celebrates an annual festival by the name of “Rhododendron”. It holds unusual activities like Chainsaw competition, Rhodo Black and White Ball, the Rhodo Festival Revue, and the Rhodo Festival Golf Classic. The village comes alive with street stalls and great entertainment. This village features tennis courts, gardens, swimming pools and bowling clubs in Prince George and Leichhardt Streets for the tourists making a longer stay especially during spring with the best Blue Mountain weather. 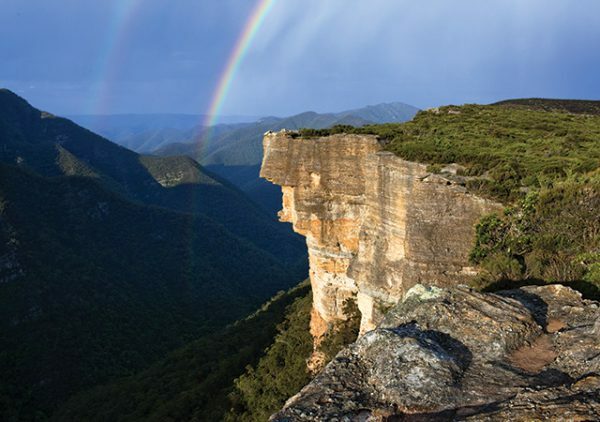 In Blackheath, take the Govetts Leap Road and look out for the Grose Valley from the Govetts Leap Lookout. You can find the Blackheath gallery exhibiting fine art and drawings by selected artists in the Blue Mountains. 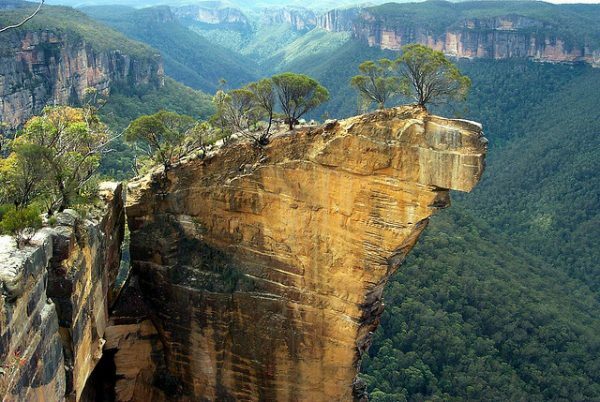 Blackheath also plays the role of a headquarter of the Blue Mountains National Parks & Wildlife Service. Your ultimate stop on this car journey covering the Blue Mountains from Sydney is Lithgow. It forms the gateway to the Central West. Here at a natural paradise and a marvellous city, you can easily access Jenolan Caves, Capertee Valley and the Kanimbla Valley. The highest lookout in the Blue Mountains is Hassan’s Wall situated in Lithgow. If you’ve your kids along, Take them through the luminous Glow Worm Tunnel that was a part of the old railway running in this area long back. For those who love to dive into history, take your steps towards Eskbank House and Museum housing industrial and social heritage. The Glen Davis Ruins contain the remnants of an abandoned village where a slate factory existed during World War 2. This town was also a site for the Lithgow Small Arms Factory, which was Australia’s first advanced mass production facility. There is now a museum with a fascinating tribute to the work. Find more memories to make at the Turon National Park which lets you bushwalk and camp. Other activities that may interest you here are trout fishing, swimming, birdwatching, mountain biking or canoeing. Make Avis car rental your partner in adventures on the road trip to the Blue Mountains from Sydney and enjoy heart-warming activities on the route being completely care-free. 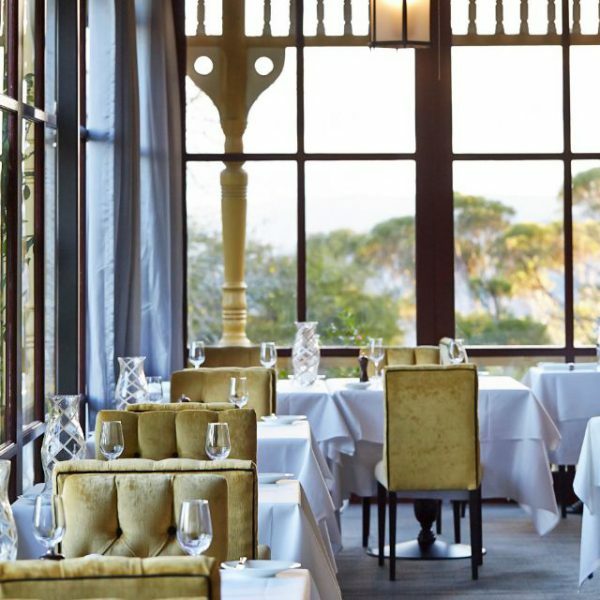 On the Blue Mountains from Sydney route, you’ll find The Carrington. It has an elegant décor and note-worthy furbished manor featuring fine dining options and a relaxing Renaissance Day Spa. The rooms are fully equipped with facilities. Old City Bank Bar provides informal dining, while Champagne Charlie’s serves cocktails. Broomelea Bed & Breakfast is traditionally furnished set between a landscaped garden and at an easy distance from the major sights like Golf Club, Scenic World and Three Sisters. Free WiFi, a guest lounge with a cosy fireplace, and a library are only some of the amazing provisions available here. Take your self-drive car from Avis to explore the many attractions in the Blue Mountain Sydney tour from Broomelea Bed and Breakfast. 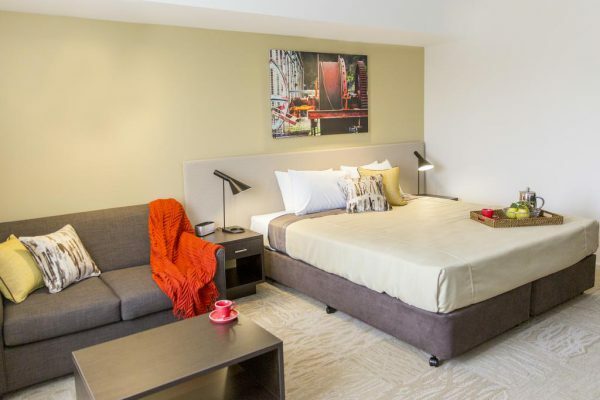 Located on a steep slope as you take your car to the Blue Mountains from Sydney, the motel offers boutique-style accommodations with free WI-Fi. The rooms have a modern look. They are well air-conditioned. The bathrooms and toilets are separate. 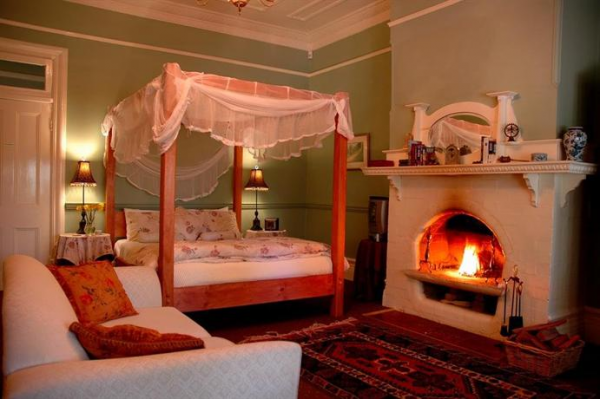 The rooms are very comfortable and luxurious having sofas and tub chairs along with dining settings. Guests can dine at the onsite restaurant, which offers chargeback facilities to the room. Rachel and Grant’s experience of cooking comes from his journey in the Greek Islands and Lake Como, Itlay. This fact influences the food preparation and superbly crafted cuisine. You can choose from a heavy cuisine that fills your stomach completely or a lighter version of “Chef’s Table” with matching wine. seared scallop tartlet with quinoa-crusted pork cheek and fetta-filled watermelon balls draped with coconut foam make for the best dishes found here. Darleys remains the undisputed restaurant in the Blue Mountains Sydney tour. 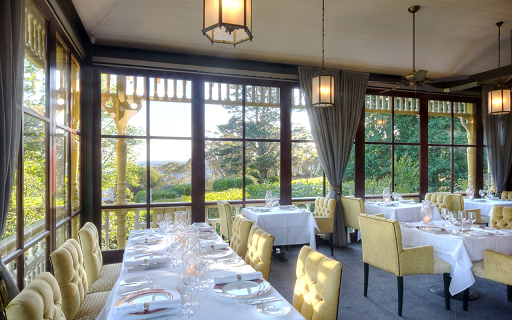 Highly prized and renowned for its impeccable cuisine and delightful garden setting, it is located in a heritage-listed house. The most ordered and loved dishes include seared duck breast with sliced abalone and a toothfish bouillabaisse. The poach prunes with dark chocolate fudge are definitely not for the weak hearted. 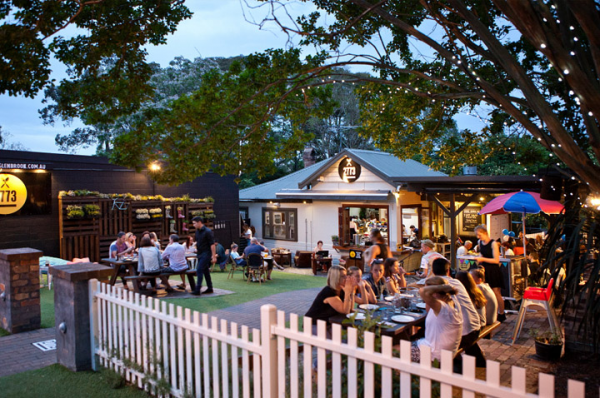 The Leura Garage is an award-winning restaurant, cafe’ and bar located in the heart of the route towards the Blue Mountains from Sydney. It tantalizes the senses with its tempting flavours, impressive presentation and silky texture. 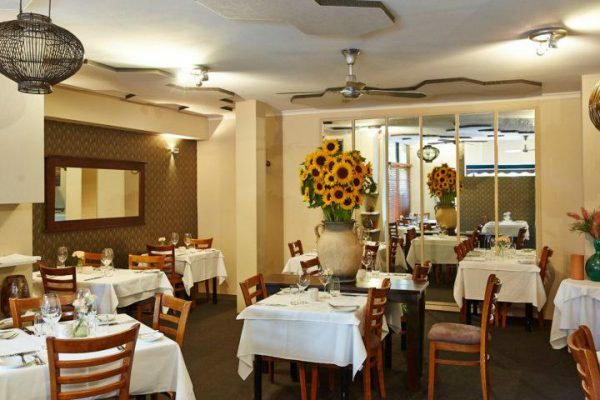 With an international feel, this restaurant attracts tourists for its exceptional setting and crowd. Jacqueline’s Spanish Seafood Paella, Pork Sausage Wheel and Trunkey Creek pizza are few of the many tasty dishes you will find that melt in your mouth. 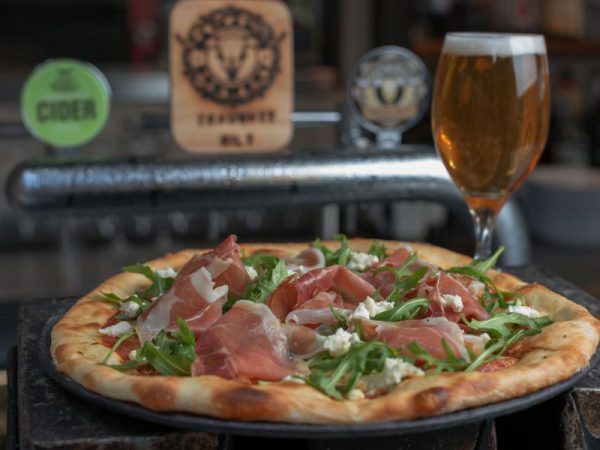 Its 120-year-old Scotch oven lends vesta a unique touch believes the part-owner, David Harris. 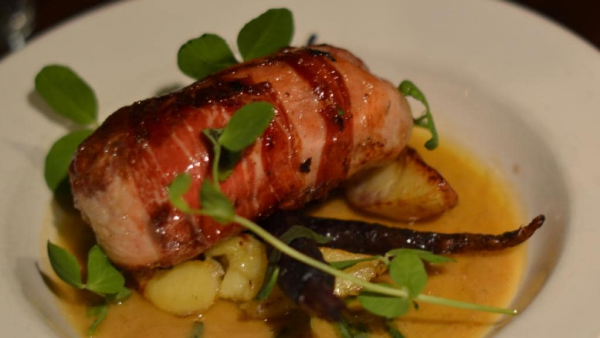 The dishes are allowed to roast slowly in a deep radiant heat enhancing the taste and flavours. The results are outstanding, especially with signature menu items like slow-roasted lamb, stuffed spatchcock, and trout with fennel and couscous. Finish with a modern take on bread and butter pudding. We’ve provided you with all the information you’ll need for an incredibly breathtaking self-drive road trip to the Blue Mountains from Sydney. So, now get your bag-pack ready and quickly head to this miraculous destination with Avis car rental as your loyal companion.